Prior to starting SERVPRO of Beaumont/Banning, Mark Brandenberger spent 25 years in the financial services industry where he worked for both Fortune 500 and start-up Companies focusing on strategic planning and financial operations. 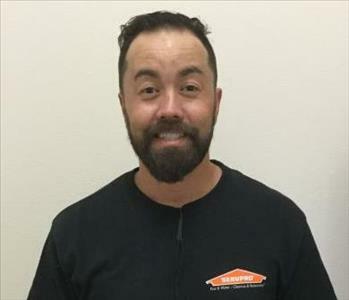 In 2015 Mark made the transition to the restoration industry with his purchase of the Beaumont/Banning/Desert Hot Springs SERVPRO territory. Mark was born and raised in the Inland Empire area, and he enjoys utilizing his financial services background to help provide customers with excellent customer service. 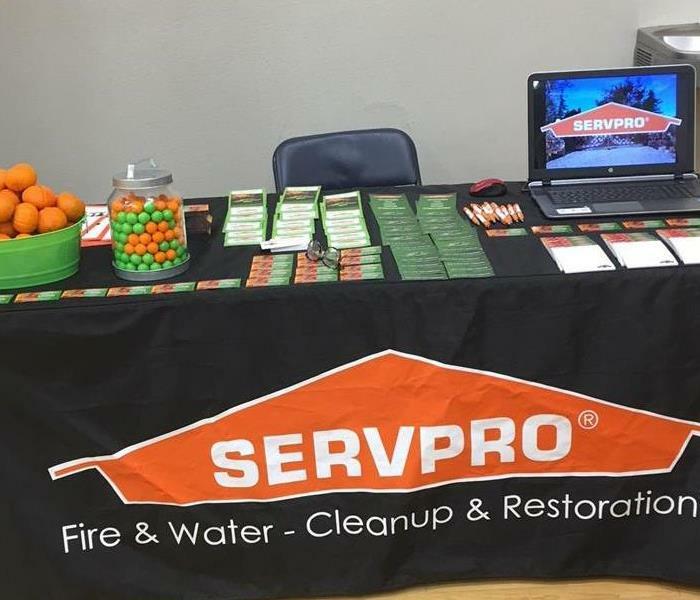 Tracy is the Operations Manager at SERVPRO of Beaumont/Banning. Born and raised in the Inland Empire, Tracy is highly trained and qualified in water and fire restoration. Her willingness to go above and beyond for the company and our customers, as well as her background in construction and sales, makes her a very effective and regarded leader in our industry. Wil Campos is the Production Supervisor with 17 years of experience in water damage. He has completed our rigorous SERVPRO Employee Certification Training Program. This program teaches advanced cleaning and restoration techniques and how to properly use our state-of-the-art equipment. This training program also focuses on listening skills and customer service. Wil has a strong work ethic and is known for his outstanding and helpful customer service. 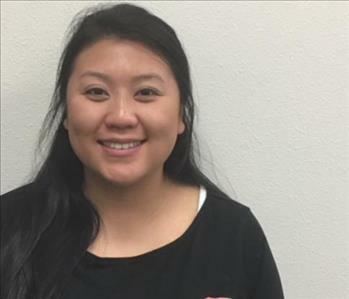 Samantha Garcia is our Office Manager here at SERVPRO of Beaumont/Banning. She enjoys providing excellent customer service and assisting customers in need. Chances are that our customers will have the pleasure of dealing with her along the way and she can help with all matters in her professional friendly way. Glad to have Samantha as our new Office Manager. Kathleen is the Sales and Marketing Representative at our SERVPRO. She has a degree in marketing, and has worked in the Sales and Marketing Field for over 30 years. She is a welcomed addition to our SERVPRO of Beaumont/Banning team. Emily comes to us from the Great State of Wisconsin. She is our Administrative Assistant and handles her job with great customer satisfaction. We are happy to include her and her great spirit and look forward to a long working relationship. Lindy is our Contents Supervisor and has 13 years of experience in the Restoration business. She is hazmat and OSHA certified and brings a hard working and organized attitude to her job. We are pleased to have her on the team. Ron Whitton is a production technician and is a valued member of our crew. Ronnie's personable and helpful attitude helps make our team a strong asset to any jobs we may encounter. 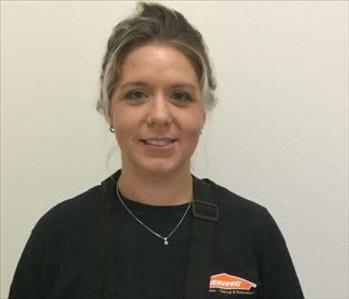 Julie Hansen is a crew tech and has come to us with SERVPRO experience. She has extensive experience in contents and demo. Her hard work attitude and smile make her a great asset to our team. 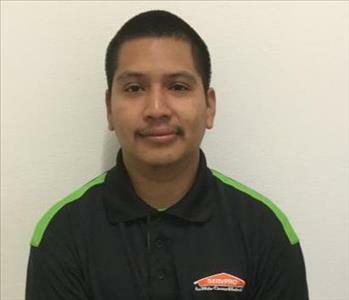 Pablo is an experienced Production Technician at our SERVPRO. Hard working with a stick-to-it attitude that gets the job done we welcome him to the team. 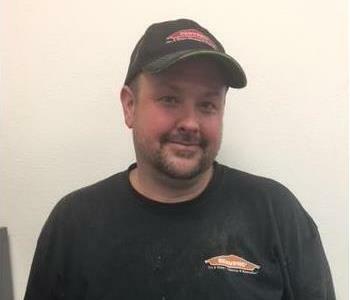 Donald is a Production Technician and comes to us with construction clean-up experience. 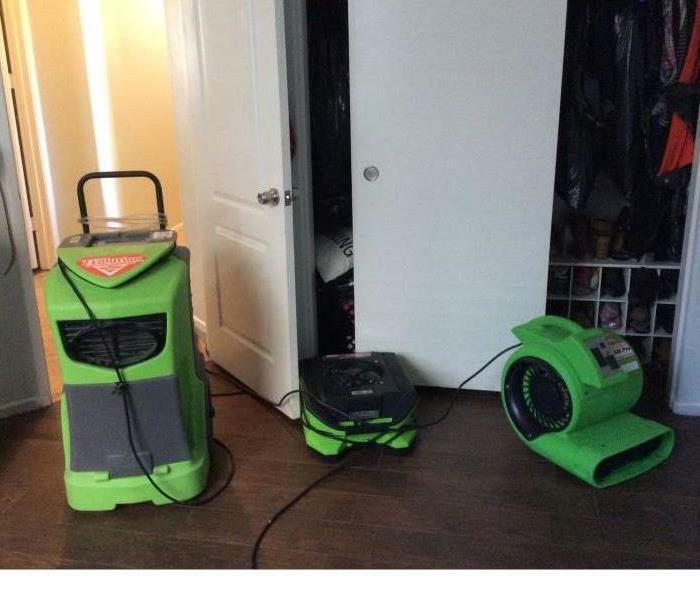 Donald is studying for IICRC certifications and is a welcome addition to our SERVPRO of Beaumont / Banning.